“AMBROSIA, Ltd” was founded in1991, in line with “Edesma, S.A” ‘s continually expanding market policy and the company’s vision to continue to create innovative product lines of the highest quality standards. Drawing on our more than one century-old experience and expertise in food production, we have created the sister company “AMVROSIA, Ltd”, to include the production of supreme quality ready-to-eat meals, salads, dips and spreads. 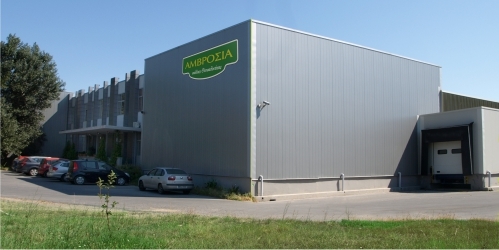 In 1994 “AMVROSIA, Ltd” acquired its own ultramodern, purpose-built plant in the Industrial area, Sindos – Thessaloniki. It has since established itself as the leading brand in its field, by bringing to life quality traditional dishes prepared with loving care. It has earned the reputation of being at the top of consumer preferences by offering the consumer the combined benefits of convenience, variety and authentic taste, as fresh as home-cooked food.